Okay this is how it really was, married almost 20 years, worked really, really hard and finally cracked. 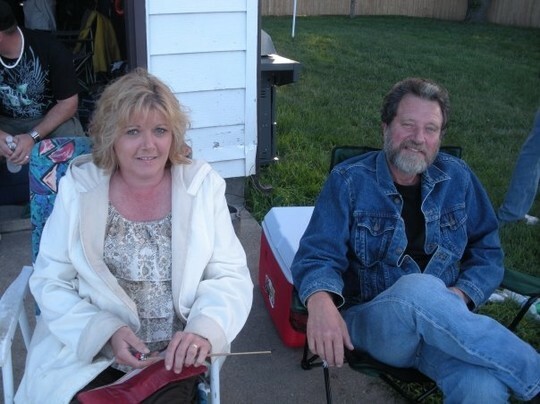 Did the whole single thing, it was fun, for awhile, till I met my hubby, who, I believe has been my soul mate all the time. Sweet, loving and gentle!! Life is good now, we live on an acreage outside of BC (12 acreas) and love it here!! I have a great life!! Sorry I was so short and too the point before!! Have two grand kids now!! Beautiful girls that get in touch with their STEP aunts and it is nice!! Life is good and life goes on!! That is one thing we need to always remember!! Life goes on!!! So okay adding a few more details, now that I think about it, worked at the Regional Center for awhile, then the new Vets home for 15 years! Loved the old folks, but kinda depressing!! Then moved over to the college and I love the kids, course I have my favorites, which are usually the underdogs, they just trust me, that is good!!! Sadness in our lives this year in March, lost a nephew to suicide, very hard thing to deal with, if you knew the kid, you would never think it!!! But we are dealing and we are going on, moving forward, with great faith and hope and love!!! See you all in a few weeks!!! Thanks to all that have contacted me!! It has been great!! Kathleen Wolff Reding has a birthday today. My niece Mallory, older sis Mickie, myself and my middle daughter Annie!! December, 2008! My kids June 2nd, 2007. 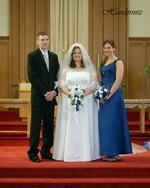 Mitchell (the baby) Danielle (the oldest) Andrea (the middle) Danielle's wedding, one down, two too go!! Mitchell's graduation!!! A little more relaxing then the first pic!! !